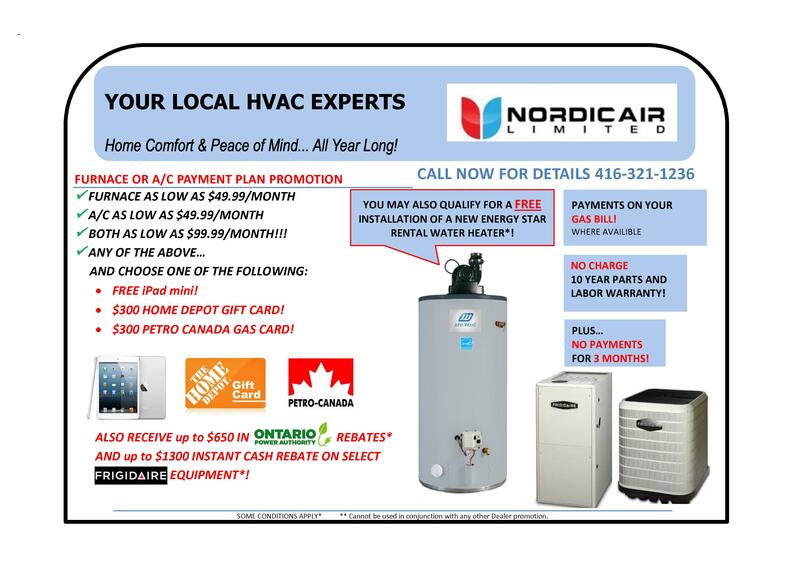 NordicAir is a Heating & Air Conditioning contractor based in Toronto, Ontario with over 25 years of experience. Nordicair Limited enjoys building long term relationships with their clients. We start every project by getting to know our clients and diagnosing which solutions will satisfy our residential and commercial property owners needs. In the beginning we ask a lot of questions and try to ensure our capabilities and experience are compatible with the clients we choose to work with. Our professional trained installers will bring the experience, quality and products that will make you come back to us! Call Mario at (416) 321-1236, we will be more than happy to answer all your questions!